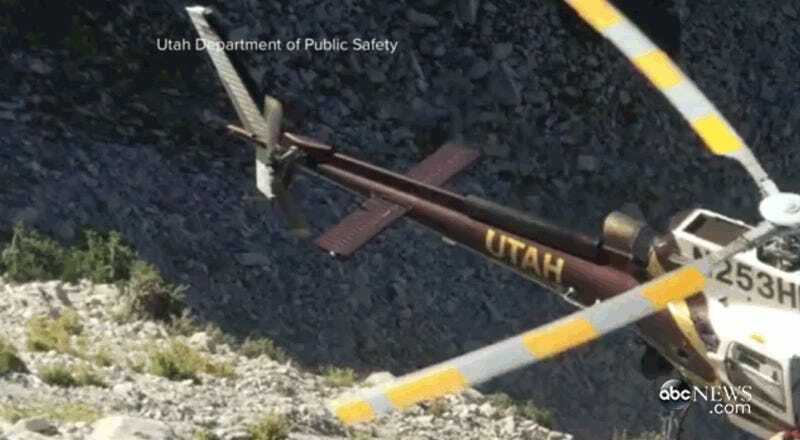 The accident occurred when a helicopter was trying to recover the body of a dead hiker near Salt Lake City last September. The aircraft was hovering next to a cliff, waiting for a rescuer carrying the body to step on board. As the rescuer steps onto the skid, the main rotor hits his safety rope. The result is immediate and terrifying: the pilot loses control, and the helicopter hits the side of the mountain. Somehow, he regained control, and flew the aircraft away from the cliff—barely missing the rescuers in the process—and landed safely.